Do you remember where your U.S road atlas is now? When was the last time you licked a stamp? Remember the afternoons spent just waiting for your favorite team’s live score to appear on Teletext. Recall those red color post boxes, waiting hours in a queue to rent movies from a shop or going library for deep researches. Ahh! Today everything seems to be moving so much quickly & all thanks to the evolving technology, that every task is a breeze! In the hope to prevent these things from leaving our minds forever, here’s a look at eleven things which we’ve probably stopped doing or forgot how to do. Purists still love those dark rooms, chemicals & photo paper techniques to produce physical-photographs. However, today’s hipsters prefer the ease of photo-sharing services like Google Photos, Flickr, Dropbox, Amazon Cloud and many more to store & transfer pictures without any hassle. There was a weird thrill when showing up for a first date & having no idea what the other person may look like. However, today’s scenario has entirely transformed, all thanks to Dating Apps that have contributed the best towards fulfilling people’s social needs & help them meet their perfect mate! Remember the time when we used to keep an eye on that paper map to find out the right direction. Well, technology has made the task really simple by giving us Google Maps to reach our actual destination. But somewhere we still miss that era, right? 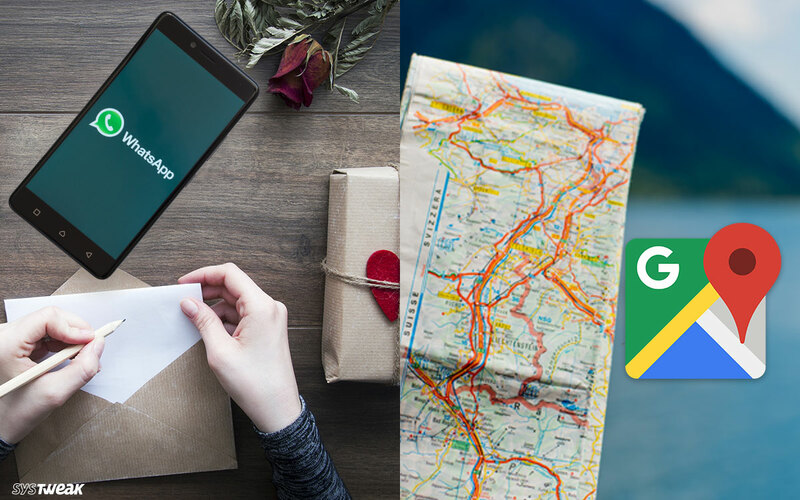 Get to know most popular navigation apps, other than Google Maps! Recall the time when all the landline numbers were right on our tongue. However, now we rarely know the numbers of our family members. All thanks to our phone’s contact book! Having an unorganized, cluttered contacts book? Know how to systemize it! Technology has surely replaced the necessity of letter writing. The existence of various communication mediums has completely killed the enthusiasm of hand-written messages and letters. Now even postman is on the verge of extinction! Who does that now when everyone has Amazon or other e-commerce sites? Two to three days delivery & there you can directly send the gift to your precious one. Raise your hand if you’re one of those people who gets confused when you’re in supermarket, and unable to find where anything is. Many thanks to grocery shopping apps like Flipp, Favado, Mealime and many others that have made our life all the way easier. Try remembering the time when you actually closed your eyes just to calculate something using just your brain. We bet you can’t recall, because it has been so long. All fortunate to our smartphones that comes with built-in calculator and no matter where & when we need to calculate something, it’s always there! Though the standard calculator provided in your mobile phone is feasible and satisfactory to use, you may need a standalone scientific or conventional calculator to fulfil your requirements. Check them out here! Can’t get over the time when we made new friends & he or she said, “Let’s keep in touch. Want to exchange fax numbers?” Okay fine maybe that didn’t even happen in 20thy century, but the point is nobody uses fax machine now. Rather everybody prefers to rely on Emails to get the job done. If you’re someone who is still fond of this communication medium, check out some of the best online fax services which might give you the feel of good old days! Movies are love! And we still can’t wait to watch them on the first day of its release. All hail to Google & other search engines, that now we can check show timings & book tickets with just a swipe and tap. We can never forget the time when we used to take half day off from work or college just to stand in long queues & pay bills in the electricity board. However, the process has become much simpler today, just tap & all your bills are paid in few seconds! Explore the Best E-Payment Portals to manage all your accounts! With the advent of technology, we no longer do these mundane tasks which had the essence of simplicity of life, technology has truly invaded our fast-paced lives! Feeling nostalgic? Share your opinions about what on this list do you miss the most? Comment below or share it on our Facebook Page!